Note: The labeling was recently changed, but a lot of the old is still on the shelf. Both old and new are pictured. Appearance: Copper penny with thick clingy legs. Nose: leather, caramel, peanut brittle, oak. On the palate: Thick and rich, very full-bodied. Caramel, spice, barrel char, then heat, a lot of it. Finish: Sweet corn, wood, char then big burn. Fades out with a hot, sweet tingle. Parting words: Wild Turkey is a walking, strutting contradiction. On the one hand, it has a very, um, rustic reputation. A rite of passage in some college fraternities involves enduring a succession of shots of Wild Turkey 101 as a test of masculinity. On the other, older one-offs or Travel Retail offerings from Wild Turkey, like the recent Tradition release, are among the most sought after in connoisseur circles. What makes Wild Turkey distinct is not its mashbill. I used to think Turkey was high-rye bourbon but it’s about average in that regard. What gives this Turkey its bite and body is the very heavy level of char used on the inside of their barrels and the very low (by industry standards) barrel entry proof. 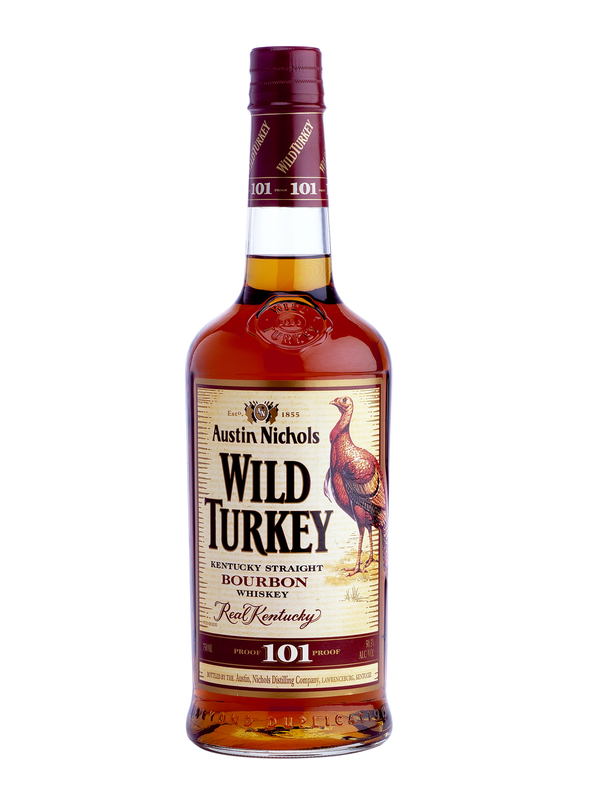 In my own experience, I’ve encountered a good deal of variation in the standard Wild Turkey 101. A bottle I bought a few years ago was so young and hot it was almost undrinkable. This one is much better. Hopefully any consistency problems have now been worked out. Wild Turkey built a completely new distillery building in Lawrenceburg this year and the new still has at least twice the capacity as the old one that was built in the 1930s. New warehouses are also currently under construction, so Wild Turkey 101 should be getting better and better as the supply of aged whiskey increases. 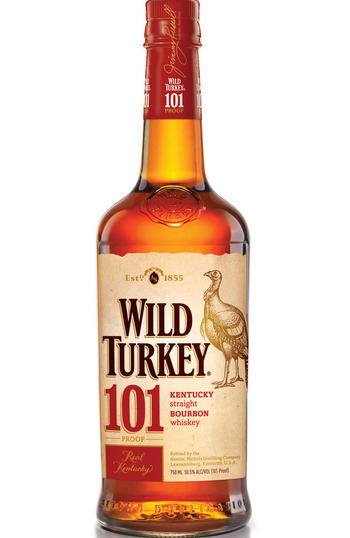 As it stands now, Wild Turkey 101 is a classic bourbon profile any true bourbon lover should be familiar with. It’s not one of my go-to bourbons, but sometimes it hits the spot. It also works well in cocktails especially ones in which its aggression is an asset. Recommended. Is this a review of old label, or new? I know that theoretically it’s the same, but I’m just asking. Old label. The new label 101s haven’t quite made it to the shelves here yet. The 81s are all over the place tho. I guess we know which one sells faster around here! Yeah that makes more sense. The new 101s are now in the majority on the shelves. WT 101 is one of the go-to bourbons I buy by the handle. My wife used to think it was a little too rough but with more exposure she has been won over. We have not yet had any of the new label and hope that the label is the only thing that has changed or we’ll be flippin’ off the bird.